Random Thoughts of Gil Camporazo: Working at Rural Bank: Boon or Bane? Working at Rural Bank: Boon or Bane? When I finished my 4-year commerce course in the La Carlota City College, I landed a job at the Rural Bank of La Carlota City, Inc. I was so enthusiastic about it. It was my first job at the age of 24. 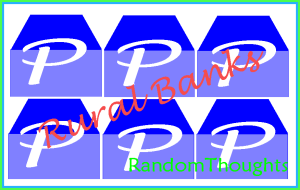 Rural bank is organized and operated to financially assist the small farmers, farm families owning or cultivating a land for agricultural production, and merchants for the credit needs. How Did I get Hire? After I completed my apprenticeship in the said bank as a basic requirement in my course, I was immediately hired by the bank. The bank was impressed of my outstanding performance while doing on-the-job training. Thus, the daughter of the owner of the bank and at the same time the bank's cashier personally recommended me to be sent to the Central Bank of the Philippines (now Bangko Sentral ng Pilipinas) for a 3-week training at the CBP main office in Harrison Avenue, Metro Manila. It was the first time that I stepped on in the urbanized metropolis of Manila in 1975. I traveled via sea, boarding the ill-fated Don Juan ship of Negros Navigation. I stayed at the beautiful residential house of the chairman of the board at White Plains subdivision, Quezon City. To regularly attend the daily training in Central Bank, I had to take 3 rides. First from White Plains, I'd to take a jeepney ride going to First Farmer's Center at Araneta Business Center. Second, from there I'd to ride on the bus, passing Epifanio De los Santos Avenue (the famous EDSA) going to Baclaran Municipality. Third, I'd to ride in going to Central Bank passing Harrison Street. Everyday, I'd to take 3 rides. In order that I won't miss any training session, I'd to wake up at about 4 a.m. Sometimes, I couldn't take my breakfast. From the legal bases of rural banking, loan processing, and simple accounting and record-keeping were the things I learned from my training. We're also exposed to the important security features of PH currency, its uniqueness and its genuineness so as to detect the bogus or fake PH money. We're also privileged to visit the CB money museum which displays the gallery of the world-s legal tender or currencies. Our training venue was in the 18th floor, the last floor of the CB building. There was a time that we'd to take the stairs in going up and down when the power went off for the whole day. When I got back, I was assigned as the loan clerk. I processed the loan documents of every borrower: loan application, promissory note, co-maker's statement, chattel mortgage, real estate mortgage, manager's check, loan disclosure, and computation of loan proceeds. The bank gave me an added task like preparing for the board resolution covering every loan approval and authorization of the board to apply for rediscounting with the Central Bank. In preparing the rediscounting paper, since there was no computer at that time (1975), I'd to use the typewriter to type all the names of the borrowers, the amount of their respective loan. I did this every month. I was also assigned as a loan collector of Masagana Loan borrowers. Every harvest period, I'd to go with the National Grain Authority (NGA) authorized personnel to buy the palay of every borrower. I'd to carry huge sum of cold cash placed in a big brown envelop. I'd to keep it casually, even my wife didn't know that it contained a money. I maintained the trust of the bank. I never dared to malvers the money or have a shortage in remitting the said money to the bank. A professional jealousy existed between us: the bank's bookkeeper, the sister-in-law of the bank's manager and me. I never counted my extra services with the bank. I never claimed any overtime for that matter. I was surprised every year-end, I received an extra bonus from the owner of the bank for my loyalty, for the trust and integrity I maintained. During that time I was too enthusiastic about my first job, easily provoked and full of pride. I thought for myself that I'd to look for a greener pasture and to avoid that particular conflict. So I resigned from my job. The manager, brother-in-law of the bank's bookkeeper, accepted my resignation. The bank paid me a small sum of money for my separation pay. I took it. I became jobless for several months. I applied at the city government as a casual worker on the job order basis. It didn't last long until I was permanently employed by The Church of Jesus Christ of Latter-day Saints in 1980 until 1991, eleven years to be exactly. From 1991 to the present, I am employed in the Department of Education as classroom teacher to school principal. N.B. 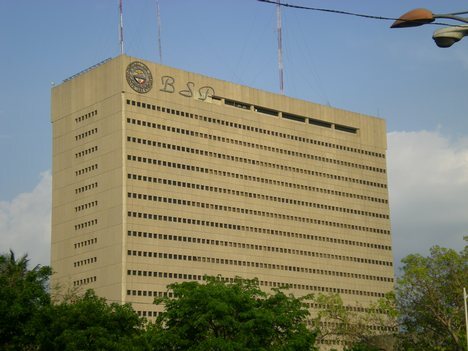 Sometime in 2000, the Rural Bank of La Carlota, Inc. was under the receivership of the Central Bank of the Philippines for it became bankrupt for mismanagement. It had never regained its bankruptcy and finally it was dissolved. Wow good to know na naging banker ka din pala Sir gil:) i was inspired by this post -Sabi nga "pag may nagsasara na pinto may nagbubukas din". Salamat po at naging inspirasyon din ito sa'yo.